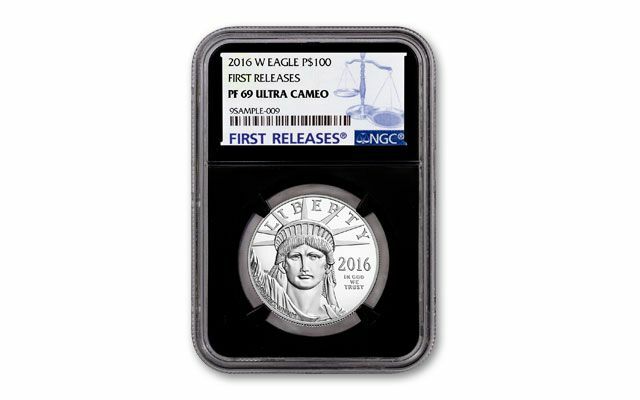 If you think this 2016 $100 Platinum Eagle graded perfect Proof-69 Ultra Cameo (PF69 UCAM) by Numismatic Guaranty Corporation (NGC) looks different, that's because it is different. Back in the day when NGC first started grading coins they used a 'black core' to secure the coin in the acrylic holder. Soon after they started, they switched to a 'white core', which they've used ever since. This holder reprises the 'black core' and it's got collectors excited and scrambling to add this 'retro' holder to their collection. 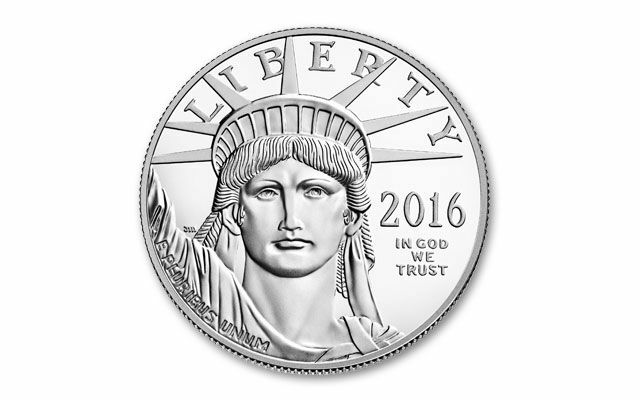 The obverse design by John Mercanti, 12th Chief Engraver at the U.S. Mint, shows the head of Miss Liberty from the Statue of Liberty along with the date and 'In God We Trust.' This design is considered by many to be one of the best of all modern U.S. coins. The reverse shows Liberty holding a torch of enlightenment in her right hand, and an olive branch in her left to symbolize peace. The olives represent the Thirteen Original Colonies. A bald eagle with its wings out–stretched appears beside Liberty. The latest design series, titled Torches of Liberty, lasts for only two years and is representative of the nation’s core values of liberty and freedom. 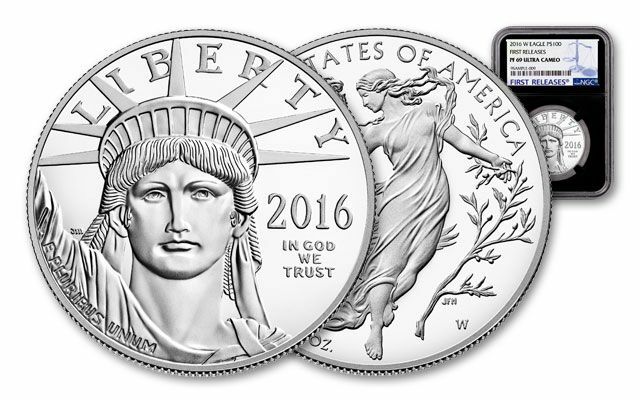 The 2016-dated coin carries the first design and is titled Torch of Enlightenment. 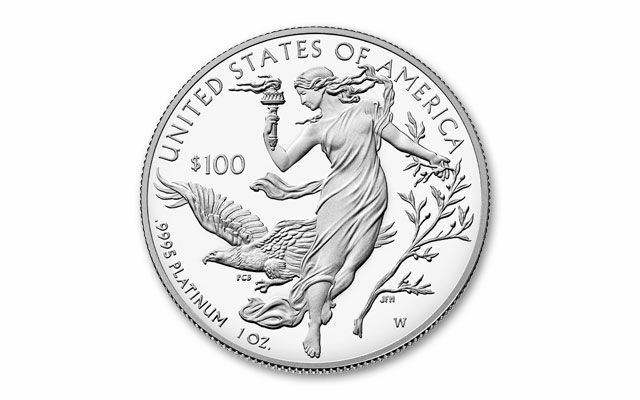 Each Proof is struck in one-ounce of 99.95% pure platinum, and has the U.S. government guaranty of the precious metal weight and purity stamped right onto the surface of the coin. It's a legal tender U.S. coin with a denomination of $100. Add this special edition 'black core' proof to your collection today!